Are you trying to decide between WordPress vs Weebly to build your site? WordPress is a popular choice and powers 23% of all websites on the internet, but Weebly is another solution that allows you to build your website, blogs, and eCommerce stores. If you are wondering what’s the difference between Weebly and WordPress, then you are in the right place. 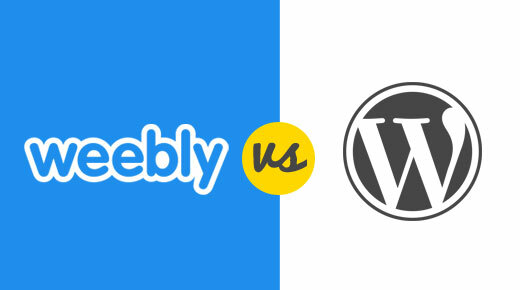 In this article, we will compare WordPress vs Weebly by listing the pros and cons of each, so you can decide which one is better for you. Note: this article compares Weebly with self hosted WordPress.org sites not WordPress.com blogs. See our guide on what’s the difference between WordPress.com vs WordPress.org. Weebly is a completely hosted service. This means that your website resides on their servers, and you have to abide by their terms of service. Should you decide to switch platforms, the migration process is extremely difficult. Their admin area has all the tools that you can use to build, edit, and manage your Weebly site. WordPress on the other hand is a free software that you can install on your ownweb hosting account. This means that you own 100% of all your content, and WordPress makes it very easy to switch to a different platform should you choose to do so. 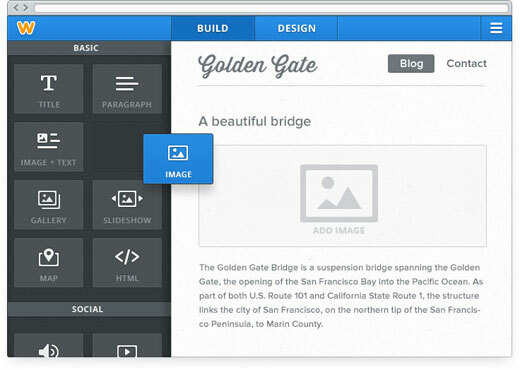 Weebly comes with a good selection of tools built-in with their platform. This includes the ability to add an online store, blog, contact form, photos, etc. The best part about built-in features is that you do not have to install an extension or an application. However if you need a feature that is not available in Weebly, then you are in trouble because you cannot hire a designer or developer to add it for you. On the other hand, WordPress has all the features you can dream of: online stores, contact forms, galleries, portfolio, SEO etc. However most of these features doesn’t come pre-installed, and you have to add them with plugins. There are over 37,000 free plugins available in the official WordPress plugin directory. Not to mention countless other premium plugins available from third party websites. If you can think of a feature, then there is a good chance that a plugin already exists for that. Plugins like WordPress SEO by Yoast makes WordPress more SEO friendly that Weebly. The best way of thinking about features in WordPress vs Weebly is by looking at feature phones vs smartphones (iPhone or Android). WordPress is a smartphone that comes with all the essentials, but you can install an app to add new functionality. Weebly is a feature phone that doesn’t allow you to install apps. You get what it comes with. Weebly excels at design, and the most desired feature of Weebly is their drag and drop page builder. Currently they have nearly 100 themes which you can customize using their drag and drop tools. It is very easy to use and extremely beginner friendly. WordPress does not come with a built-in drag and drop page builder. However there are thousands of pre-made templates available some that offer drag-drop functionality. 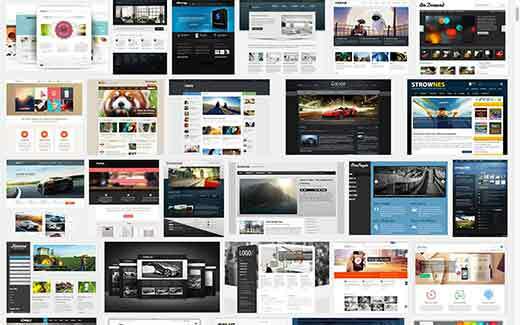 Many of them are available for free in the official WordPress.org themes directory. Other themes can be purchased from theme shops likeStudioPress, Themify, and ThemeLab. WordPress also has drag and drop themes created by Headway Themes andThemfiy which makes it super easy to create your own layouts. Weebly allows you to open your own online store. However their features are very basic, and there is not much you can do to customize your store the way you want. Weebly charges 3% transaction fee on top of the fee that you will be charged by the payment processor such as Stripe and PayPal. This means that you are paying double in transaction fees. You can upgrade to their Business plan $25 per month to remove the additional transaction fee. 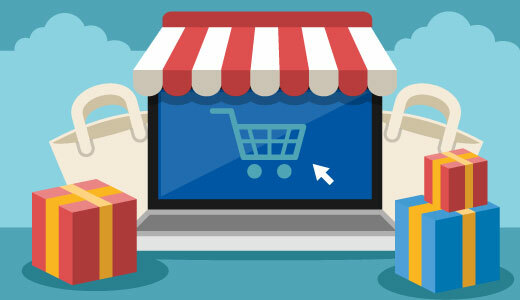 WordPress has several robust eCommerce plugins that allows you to create your own online store like WooCommerce, EasyDigitalDownloads, iThemes Exchange,WP eCommerce and several others. Most of these comes with dozens of pre-made themes, you can add coupons, customize receipts, and basically everything that you want to do. Also there are no additional transaction fees. All you pay is the payment processor fees which you will have to pay with any platform. Weebly allows you to download your site as a zip file, but this will only contain your HTML pages and images. If you had a blog, then it will not be exported. If you had sliders, then they would not work in the exported site. Basically it is very difficult to move a site away from Weebly. 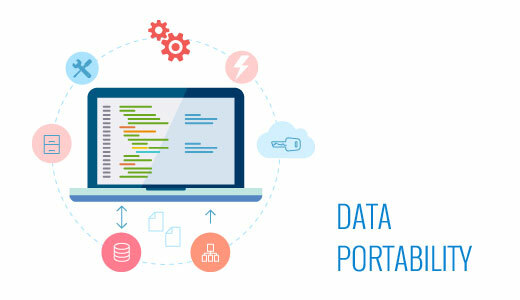 When you host your own website on an open source platform like WordPress, you can easily export your data into many formats. You can export your WordPress site as an XML file, database export, download your files and content. You can easily migrate your WordPress site to any other platform that you like. This freedom gives you full control of your website, and this control brings peace of mind to many site owners. Weebly is a beautiful service more suitable for small websites. It is not an ideal solution to create a blog, or run an online store. The shiny design builder may look attractive, but not everything that shines is gold. 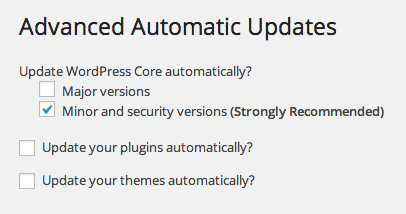 WordPress offers more tools, freedom, and flexibility. 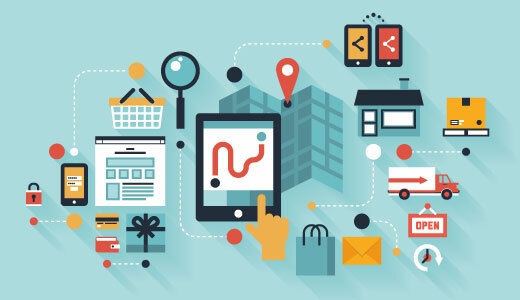 All of these things make it possible for you to build a website the way you want it. We hope this article helped you compare WordPress vs Weebly and pick a platform for your next website. You may also want to check out our comparison ofSquarespace vs WordPress.